Stunning hairstyles for curly hair, which will make you want to try them out right now! Curly hair has a will of its own. On some days it tells you the humidity levels better than any weather forecast. Some days you wake up and see a nest perched on the top of your hair. But on some days it looks so glam and gorgeous that you can’t believe you cribbed about it at all. So stop trying to straighten and keratin your hair to make it look neater or manageable. Your curls are a sign of a free spirit and it’s time you accept them for what they are – your biggest style statement. We have brought you 30 stunning hair styles for curly hair, which will make you want to try them out right now! Flaunt your curls by letting them run wild and take their true, boisterous form. Wear your hair as big as it gets and the only accessory you will need is the attitude to pull it off. After you wash it, just apply some leave in conditioner and work a little serum into your crown and your ends. Then let your hair decide what it wants to be today. For a neater, working professional look, iron out your crown or fringe and scrunch up the bottom of your hair. This look requires the least maintenance and you will be able to pull it off even on those days when you have slept well past your alarm. If you wear your hair short, there’s a lot you can do with it. 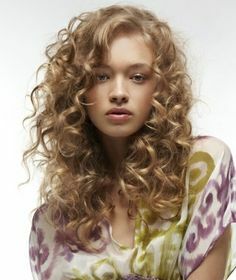 Scrunch it up with oodles of leave in conditioner or set it into more dignified and bolder curls. If you are not scared of chemicals, coloring your hair is another zone you could explore. Take a big strand of your hair and give it a bold and exciting color like a red or a blue. Iron your fringe and let your hair do the talking. If you are skeptical about bolder colors, you can also choose to highlight your hair (but please, spare yourself the tacky blonde). Contrary to popular belief even tying up curly hair can be extremely stylish. Go for one of these neat braids, or braid only a part of your hair and let the rest cascade over your shoulders. Braids are a great way to control the frizz on the crown of your hair (all your curlies know what I mean) and they look fabulous even on those days when your hair refuses to listen to you. 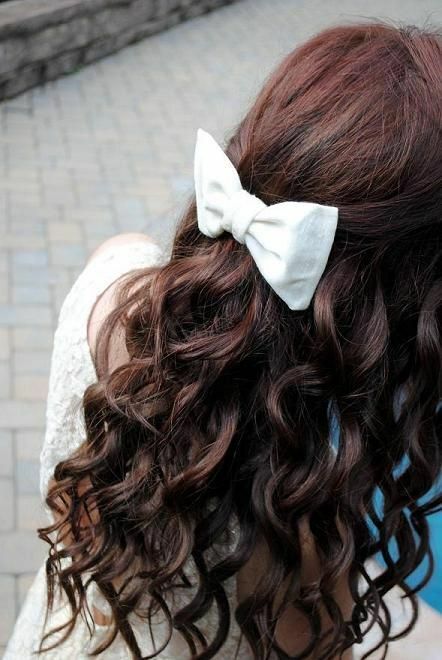 Just as easily, you can pull your hair into a messy ponytail, opt for one of those scrunchies with cute little bows. They can instantly make your hair look glamorous .Other accessories like pins and headbands are just perfect for the days when you want to control your hair without making it look like the struggle it is. On date nights, or weddings your hair needs to be perfect. Opt for one of these chic styles which remind you of the bygone age when curly hair was all the rage. Pull your hair into an updo, and leave a few tendrils (moisturized with leave in conditioner) loose, giving your look an edge like never before. Go ahead and try these looks out for yourself! Just remember to NOT comb your hair. Yes, it sounds weird, but combing dry curly hair makes it frizz out completely. Comb your hair when it’s wet and don’t bring the combs anywhere close to it after that. Invest in a good leave-in conditioner like Moroccan Oil or Loreal’s Spiral Splendor and use it regularly to tame your hair a bit. We also recommend using a serum like Loreal Total Repair 5 or Matrix, to reduce the frizz even on those days when you don’t wash your hair. Just one last tip: Embrace your curls!